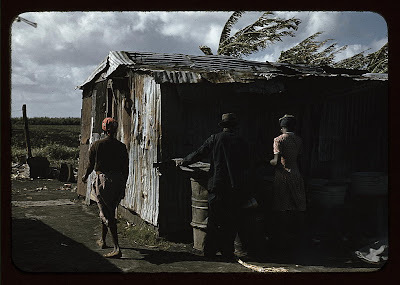 These are photographs from the color collection of the FSA at the Library of Congress taken by Marion Wolcott and dated 1944. 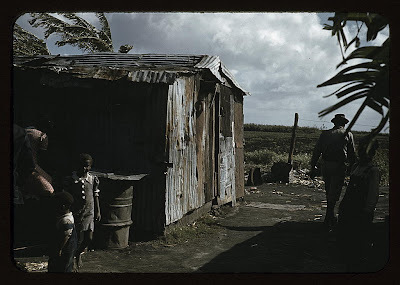 These first three were taken in Belle Glade, Florida and illustrate some of the living conditions of migrant workers in Florida. 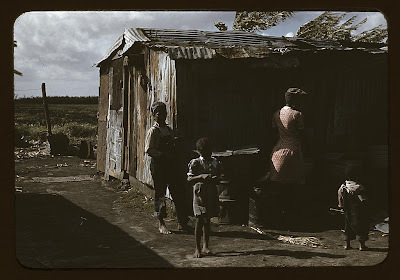 This is the kind of location Zora Neale Hurston would have visited in compiling her Mules and Men (1935) and her novel Their Eyes Were Watching God (1937). 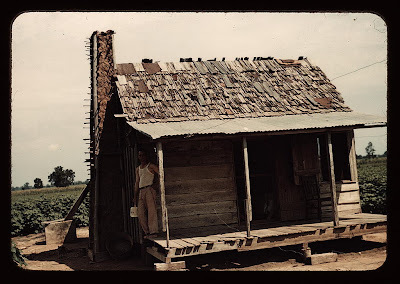 This next photograph is also by Marion Wolcott in 1944 of a dwelling occupied by "mulattoes" in Louisiana. You can see such photographs for yourself at http://memory.loc.gov/ammem/fsachtml/fsowhome.html. This is the front page of the color collection of the Federal Security Adminstration Collection, 1939-1944. 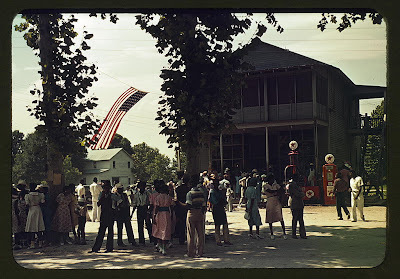 One can then browse the subject index (African Americans or Negroes), Creator (Marion Wolcott) and/or geographic location (Belle Glade, Florida or Louisiana). This photo is also by Marion Wolcott and is taken upon the occasion of a picnic in St. Helena, South Carolina, obviously a picnic. The people are moving naturally, not posing. Also in the 40s.